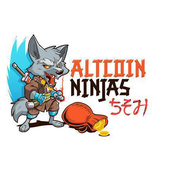 About me Altcoin Ninja Organization of Altcoin strategists focused on every aspect of cryptocurrency. From mining to ICO’s, and trading, we have mulitple talented individuals with full time commitments in each field. With one goal in mind. Winning. In short: Bullish opportunity appearing. going in at current price of video (81xx) and taking 4% risk... Looking to hold and swing for a 8% - 10% gain.. after which re take position and search for my main target around 10k sats. Good luck trading!! BTC USD: Short discussion on potential bottom. Quick introduction to the ideas of holder psychology, trading's power to control price, potential BTCUSD bottom. Also of note is the start of an apparent decrease on momentum and price stabilization that could be indicative of the bottom. In short: Strong potential for continued bullish towards 4200 Currently looking to test the 6650 support before then. Volume dropping off.. likely sideways with slight downtrend next 2.5 days. Watching smaller time frames for sudden emergence of bullish motion upwards past 4000. If alt market does very well expect BTC to reign it in. BASIS.. Uptrend reversal potential still in play. Looking at 14 days to find reversal emergence. Alt market should be heating up very nicely and even if we get hit with 5 % TOP COIN drop days there will be opportunities for recovery. BTC Target 3650 within 14 days. Fairly strong support backing up sideways action within 10% swing from current position. Two set ups possible: 1) Volume pick up with large structure on the hourly indicating test of rejection soon leading to bounce for keeping the sideways alive. 2) dropping with candle thinning leaving high potential for leg down to yellow support line. The time to make your bullish or bearish bet is now because the market will move pretty good in the next 12 hours. Fairly bullish recovery.... 1 - 2% movement coming within 4 hours... Watching for signs of steep leg down emerging. Trading cautiously. SHORT: No more steep legs down for around 2 days... sideways, looking for buyers to come back online a little bit and stabilize us out for the day. BTC USD and TOP COINS... Temporarily looking bullish. Smaller time frame bullish continuation test undergoing currently. Low volatility pattern with time cycles shows a 2% move is coming soon in top coins. 7 Minuet video going over BTC and ETH. General market synopsis over last 40 days with optimistic outlook for coming week. BTC USD COINBASE 12/2/2018 DAY TRADING. BTC USD COINBASE quick daily update. Quick update 3 min video. Check it out let us know what you think. BTC USD Coinbase: Market Capitulation and Shifts. Further quick qualitative look over XLM. XLM REVIEW: Looking for continued bullish momentum. 3.5 min video going over XLM. Has been in bullish mode for a few days. Potential listing in coinbase. Looking at a potential bullish breakout on the daily / monthly. Watching closely for coupling to top coins. Keep close watch on news concerning XLM. Quick breakdown of the "bart" BTC market capturing wave.